Sony's "Ultimate FAQ" answers many lingering questions leading up to the PS4's launch, but some of the answers are not what people hoped for. Sony posted the beginning of its long "Ultimate FAQ" to its PlayStation blog, answering questions about the contents of the PS4 at launch, hard drive specifications, hardware performance, what the console will and will not support, and much more. Sony will continue to update the FAQ leading up to launch and will answer any necessary questions post-launch. Launching Nov. 15 in the US and Canada, the PS4 will not support external hard drives, media servers, and DLNA support for streaming videos from a home PC. PS4 owners can replace the PS4's 500GB hard drive, a 5400 RPM SATA II hard drive, as long as it complies with the PS4's standards for hard drives, is no thicker than 9.5mm, and is larger than 160GB. However, the PS4 will not support external hard drives, so owners will have to swap out and replace the existing hard drive for additional storage. Unlike the PS3, the PS4 will not support media servers or DLNA functionality, which allows users to stream media from a PC. With the PS3, users can access their PC's media from the PS3's XMB. The FAQ also noted PS4 and PS3 users can play together cross-platform, stating the functionality is "technically possible." No games support this functionality yet, but developers can choose to support PS4 and PS3 cross-platform. While the PS4 has a button on the DualShock 4 dedicated to sharing, the PS4 does not allow sharing to YouTube. When using the share button, users' videos can be shared via Facebook or streamed on Ustream or Twitch. Certain in-game areas may not allow recording as decided by the developer. The PS4 automatically records gameplay at a maximum of 15 minutes at a time, but it will not be shared or take up space on the hard drive until the share button is pressed. There is no time restriction for livestreams instituted by Sony, but the post notes some services may have time restrictions. 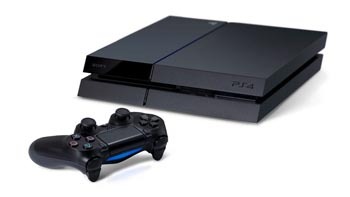 Upon launch, the PS4 requires a system update in which users must connect to the internet. However, PS4 owners can request a Blu-ray activation disc if they cannot connect to the internet on their PS4 or simply don't want to connect to the internet. Those interested should contact SCEA Consumer Services for a disc. The update can also be installed via a USB drive.